The Spanish island of Tenerife has invested a lot of money and hard work into converting its rocky coastline into a sunny heaven, by simultaneously importing refined sand from the Sahara desert and by building award-winning resorts and hotels with fantastic views of the island. 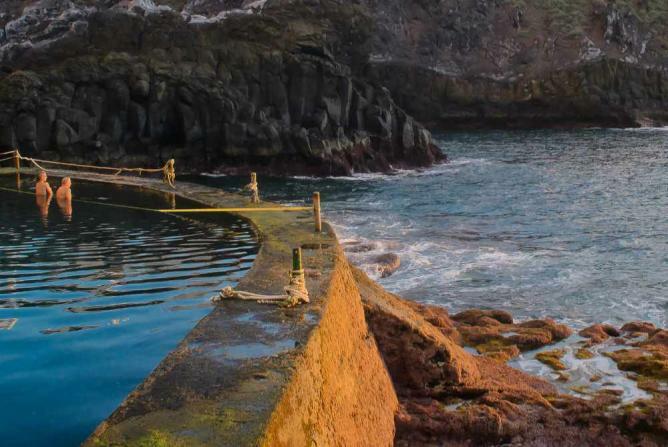 Los Gigantes is a secluded resort located in the western part of the Tenerife island. Be prepared to be blown away by incredible, untouched nature of this place. The resort is famous for its giant cliff formations that reach over 800 meters. These rocky cliffs provide an incredible and inspiring view for the visitors, whereas the secluded area offers a shiny brown and gold shimmering sand and aquamarine waters. Translated as the ‘garden beach’, this urban strip of sand lives up to its name, as it is surrounded by incredibly beautiful flora, including palm trees and cacti. Such an exotic combination became a reality thanks to the vision of Cesar Manrique, who dreamed of creating a beautiful man-made coastline. The greenery of Playa Jardin stretches from San Felipe Castle to the Punta Brava and provides an ecological and charming background for the shiny black volcanic sand. The ocean waves are usually big here, which attracts fearless young people eager to try surfing or paddling. Playa Jardin will undoubtedly offer you the best views of the city and the sea, with its relaxing atmosphere and bohemian feel. 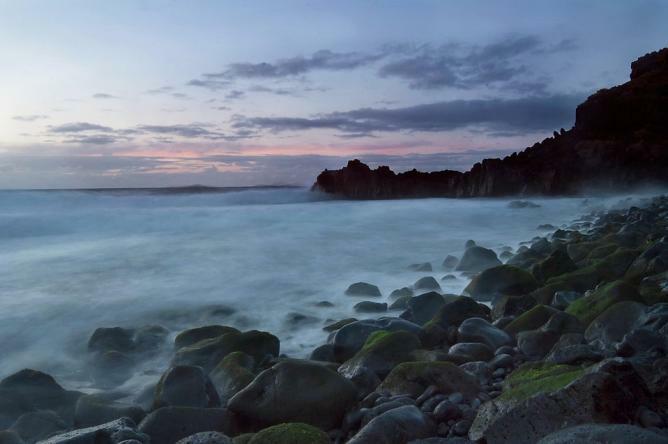 Bollullo Beach is one of the furthest and most remote beaches in Tenerife, but it can be reached relatively easily using a footpath from Puerto de la Cruz. 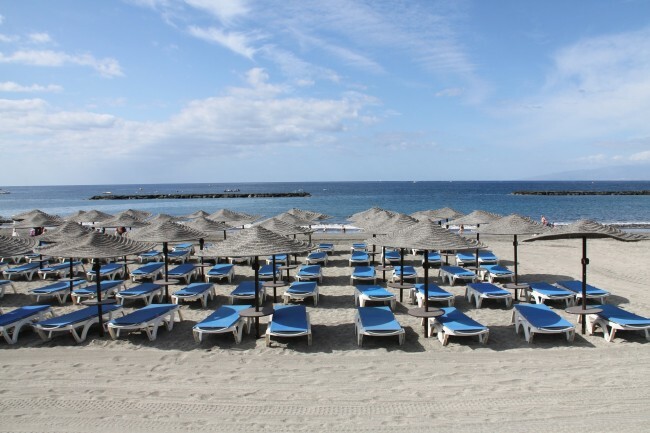 Playa del Bollullo offers an exciting and delightful opportunity to step onto the black volcanic sand for which Tenerife‘s beaches are famous. The sand and the nearby rocks present untamed wild beauty of the lesser explored Spain. The cliffs surrounding Bollullo beach make it very intimate and protected from the meddling of the outside world, however, the winds that come from the sea often bring fierce and unexpected waves that attract canoeists and surfers. While the beach is situated relatively far from the charms of civilization, it has a tiny food and drink stand, or chiringuito, where visitors can buy refreshing drinks and some food. Bringing your own picnic is advisable. An unforgettable experience. Playa de las Americas is the most famous beach in Tenerife. It is a man-made, big, clean, well-equipped beach with sun beds and umbrellas ready to meet guests from all different corners of the world. 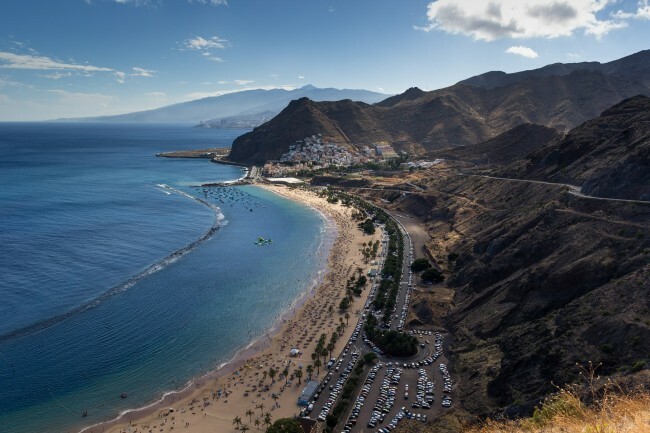 The coastline of Playa de las Americas appears very natural, and it is a popular place for people who enjoy doing all kinds of sports, ranging from surfing to volleyball and basketball. During the hot tourist season, it becomes essential to balance your stay in crumpled and crowded destinations with exploring secluded villages and beaches, known only by locals. La Caleta is one of Tenerife’s seaside jewels since it offers visitors an opportunity to spend a quiet time under the burning sun on this idyllic tiny beach away from humanity. 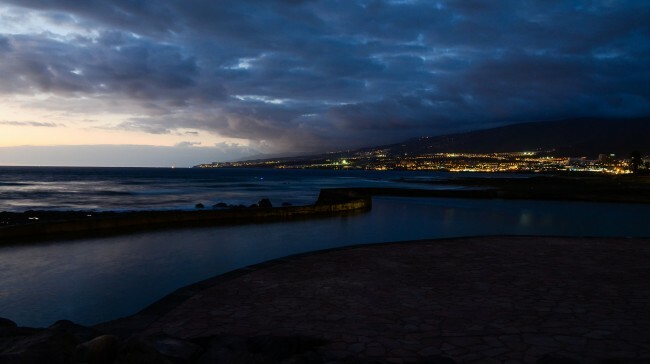 La Caleta can be reached in one hour from Playa de las Americas, one of the most well-known beaches in Tenerife. You are likely to lose energy and feel hungry from getting up here, so La Caleta has a few traditional fish restaurants for you to taste the food while sipping on a cold beer in the afternoon. 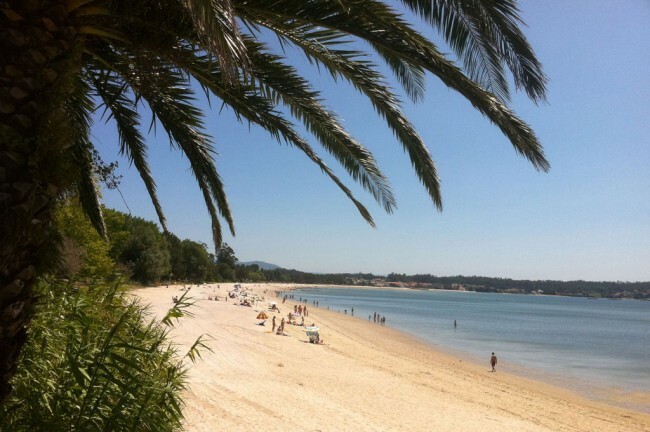 Playa de las Teresitas is known for its perfect and dreamy picture-postcard appearance. It is another man-made beach that is extremely popular with tourists, as it is situated very close to the the capital, Santa Cruz de Tenerife. The nearby fishing village of San Andrés is well worth exploring, as it will give you an impression of what traditional Tenerife looks like and how the locals live. The beach is filled with palm trees here and there, and backed by kiosks that serve chilled drinks and snacks. It has been said that people lose the essence of time and reality here, and spend whole days and weeks on this beach. Although Playa de las Teresitas is a man-made beach with sand imported directly from the Sahara, it still offers incredible views of the city and skyline and clear lagoon-like waters.